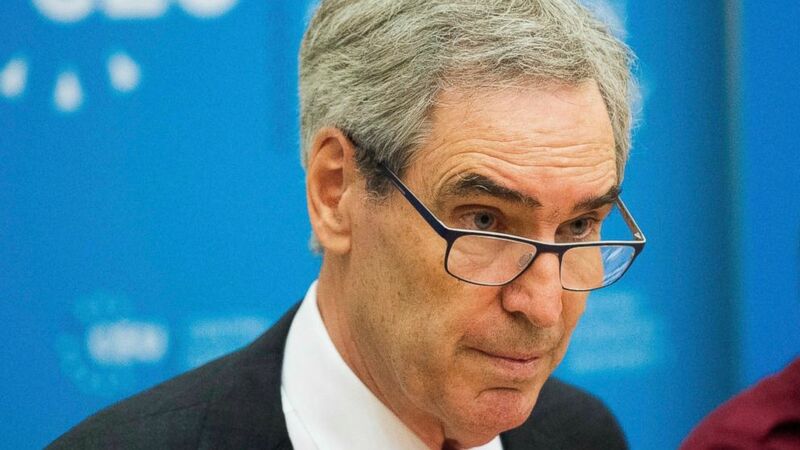 Israel's prestigious Dan David Prize was awarded Thursday to Canadian author Michael Ignatieff and Reporters Without Borders for their work in promoting democracy amid an authoritarian wave to crack down on academic and journalistic freedom. The prize is named after the late philanthropist Dan David and administered by Tel Aviv University. The Dan David Foundation awards $1 million prizes in three categories — past, present and future — for scientific, technological and cultural accomplishments. The award ceremony honoring the 2019 winners will take place in Tel Aviv in May. Reporters Without Borders and Ignatieff, president of Central European University in Budapest and a former leader of Canada's Liberal Party, were honored for "Defending Democracy." Other winners include Kenneth Pomeranz and Sanjay Subrahmanyam for work in macro history and Christiana Figueres for combating climate change. "The liberal democratic order faces a rising tide of new authoritarianism and populism; the very values that have sustained freedom and democracy are called into question," said Ariel David, a member of the Dan David Prize's board and son of the Prize's founder. "Professor Michael Ignatieff and Reporters Without Borders are being recognized for their leadership in the daily struggle to protect freedom of academia and freedom of the press," he added. "These basic liberties are pillars of democracy and it is no coincidence that the media and universities are often the primary targets of the populist and authoritarian regimes that have risen to power." Ignatieff heads a university founded by Jewish Hungarian-American billionaire philanthropist George Soros, who has been a frequent target of Hungarian Prime Minister Viktor Orban. Critics have accused Orban of employing anti-Semitic tropes against Soros during his re-election campaign. Orban has clamped down on dissent and exhibited increasing authoritarianism while casting himself as the champion of a Christian Europe. "My first reaction was utter astonishment, followed by gratitude and then, since this is recognition for work done in defense of democracy, the feeling that I still have lots to do" Ignatieff said. Reporters Without Borders said the prize money will be "helpful to continue enhance our project and find concrete solutions for a free, independent and pluralistic journalism." Previous recipients of the Dan David Prize include former U.S. Vice President Al Gore, former British Prime Minister Tony Blair, cellist Yo-Yo Ma, novelist Margaret Atwood, Wikipedia co-founder Jimmy Wales and filmmakers Joel and Ethan Coen.